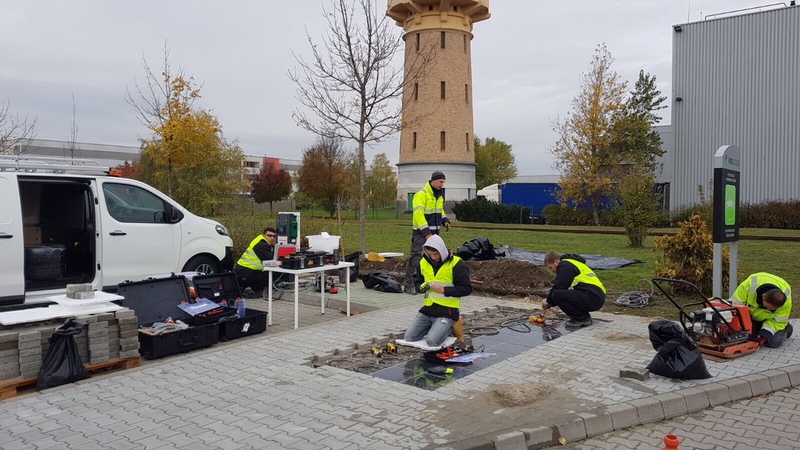 Prologis Park Budapest-Harbor is testing Platio’s new solar paving tiles for one of the facility’s electric vehicle (EV) charging stations. 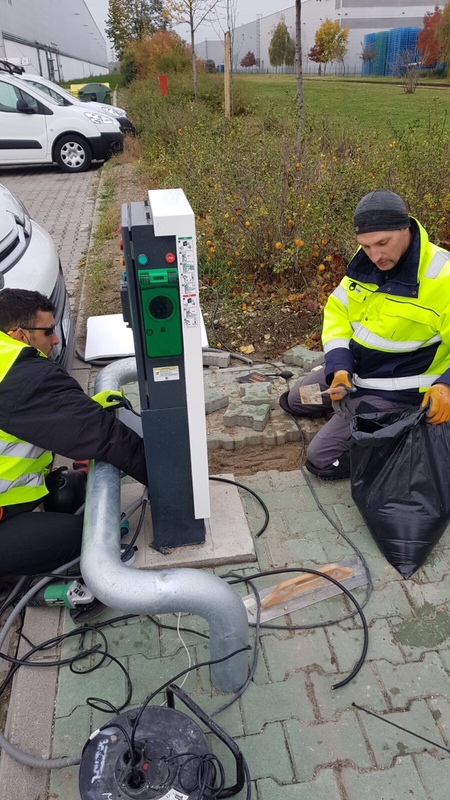 By integrating high-performance solar cells into sidewalk tiles made from recycled plastic, the Hungarian startup provides off-grid renewable energy systems that are both aesthetically pleasing and space saving. Solar tiles are integrated into a small 4.7 square meter sidewalk near the facility’s EV charging station. In sunlight, the 720 Wp system provides the station with green energy. When the charging station is not in use, the energy powers a nearby office building.